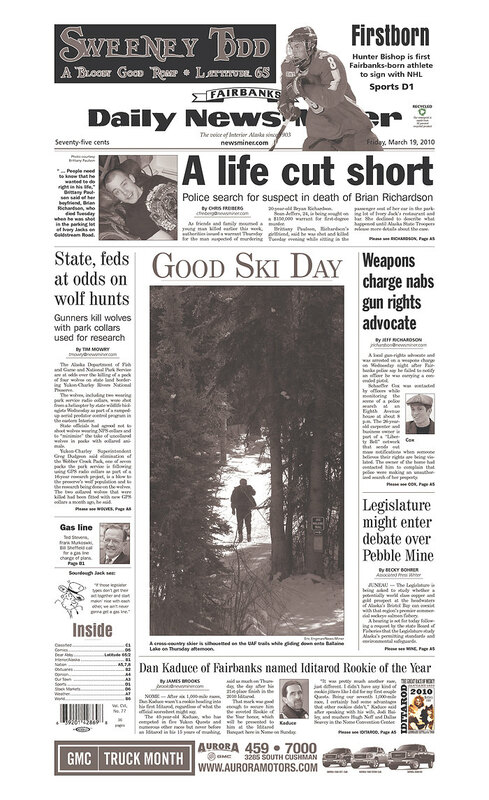 Scouring some front pages on Newseum.org, I initially opened the Fairbanks Daily News-Miner (yep, in Alaska) because there was a big picture on the front page. I just wanted to see what was so important to the paper that they felt deserved so much attention. The photo is centered on the page and every story is around the photo, which means the reader has to look at the photo. It dominates the entire page. The photo didn’t interest me much, but I am sure the people of Fairbanks, Alaska could relate to a cross-country skier. I was actually struck by the article running across the top of the page. 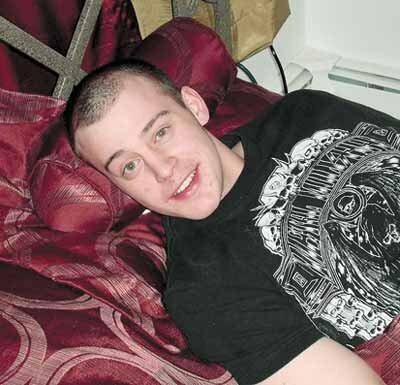 It’s about a 20-year-old boy who was shot and killed. I’ve noticed that anytime newspapers report on someone’s death, the picture is always have them happy. I know the picture that is featured in the article and on the newspaper’s website wasn’t taken by a staff photographer. It’s obviously one given to the paper by the family. But this often holds true for celebrities or even those that newspapers may have many pictures of. Pictures show those who have died as usually smiling and happy in life. Even was the case when actor Corey Haim recently passed away even though he has a history of drug abuse. I don’t have any front pages showing his mug with his infectious smile, but there are some examples on the Internet. People magazine has a nice photo of him, even though he looks rather tired. Why are they always smiling? What message is coming across when editors choose to show a smiling face of someone who has died rather than one that accurately portrayed who they were in life. I’m not saying Richardson wasn’t a happy person. But, I’m sure there was more to him than a guy laying on a couch posing for a camera shot.